The forest service at Sabino Canyon Recreational Area asked me to create a series of three interpretive panels commemorating the amazing work of the volunteers. These panels are to be placed at the entryway of the visitor’s center. 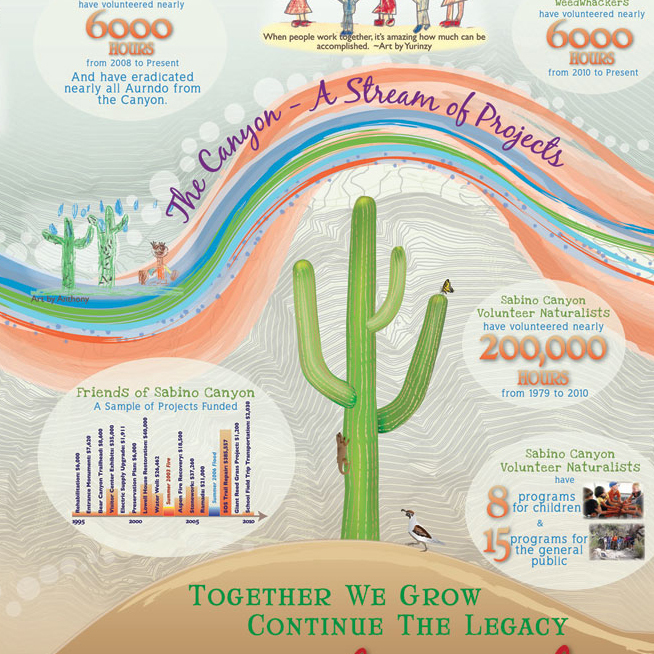 I worked closely with two of the district rangers to develop the concept for the design and then brought the ideas to life via the Sabino Canyon Love Story.